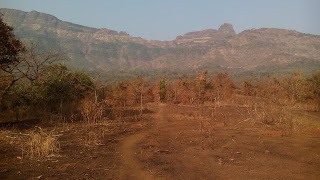 we took first fast train to BUD from DR, which reaches around 7:45am at BUD. 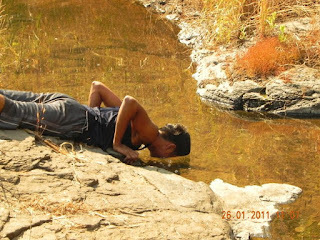 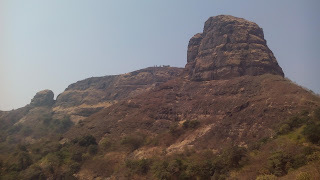 started walking towards Gandhi Chowk,,took turn via Katdare hall to Shivaji Chowk,,bought plenty of vadapaav had tea in a farsan shop there,, later walked till the highway towards those huge water tanks at Shirgaon,,later walked through the road next to water tanks till we were outskirts to human dwelling,, there were many stone quarries around,could hear dynamite going off.. we kept walking till we reached saroli village,and inquired about path to tavli,, they all said there is no path from here till top,, we gave them deaf ears,and asked instead which is furthermost area which u ppl go,so one guy showed us a path,we kept walking for abt 20-25 mins,later reached a small stream,,drank water over there,refilled our reserves,it was by then around 10am.. till this trek was just normal plain walking,,spotted plenty of variety of bulbuls,,snakes,bee eaters,scores of butterflies,etc.. Now comes the tough part..
Now, we reached the top rock structure,,it was around 1-2pm already,, we found it was 3 different cylindrical rock formations with huge gap between each of them,rocks were so loose and brittle,even huge ones can be broken down by shear force,,so by a dangerous traverse we reached the last cylindrical rock..
later we wasted huge time in climbing up the last cylinder directly to reach to main tavli peak.by now it was 4:30pm.. we decided to revert back to traverse and try another route,later we found there was a traverse right till end of the main peak but was even more dangerous,as it had steep slope on one side and wall on another,, somehow we reached other end of it,, finally we saw the route which ppl who live on top of that peak ,use,... we reached to top thinking we would get water up there,,found a dirty tank,with ppl living on top,,we didnt like the quality of it,took few pics,explored and later descended towards kushavali village,, it was 5:30pm already,amazing sunset from top..
After a long walk descending,we reached kushavali village,later took bus to Kalyan stn,, that ends an adventurous trek... i have marked the path we took in Wikimapia u can check that out . 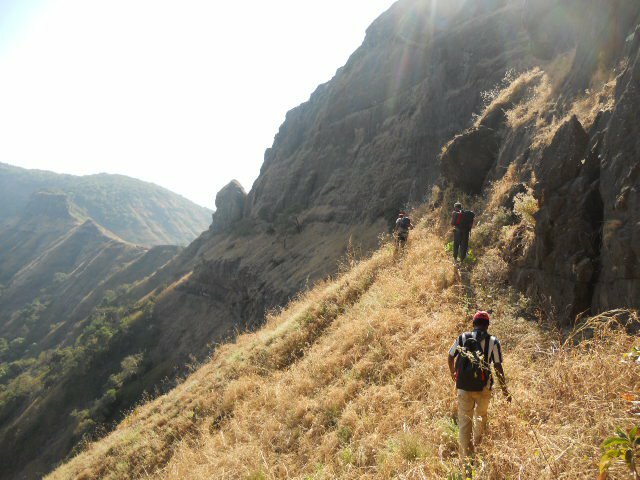 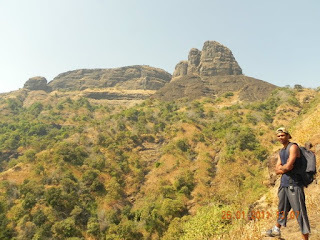 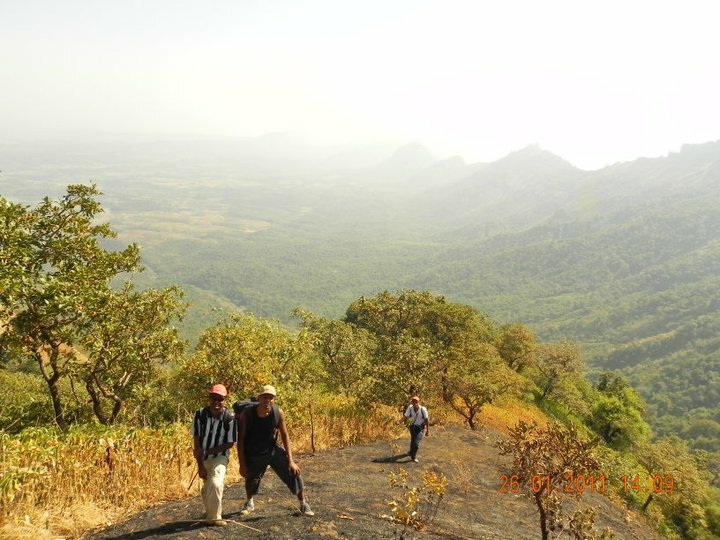 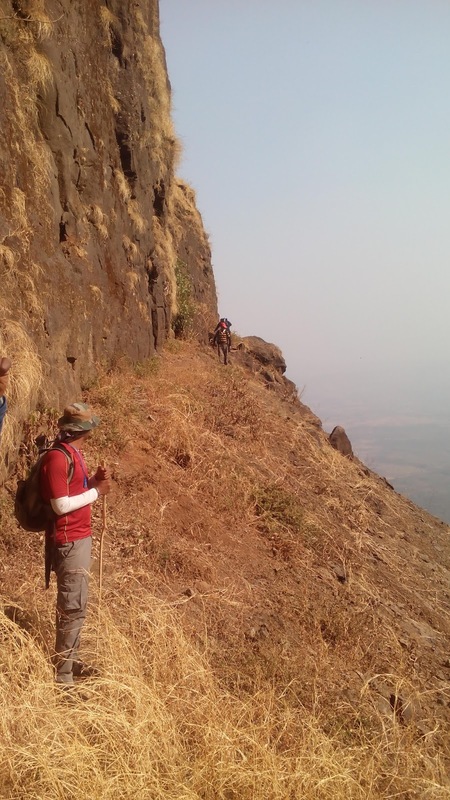 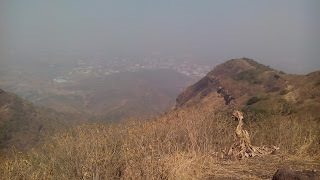 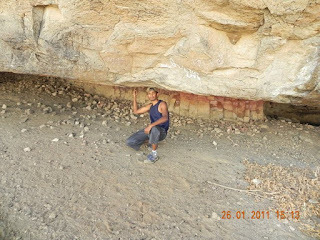 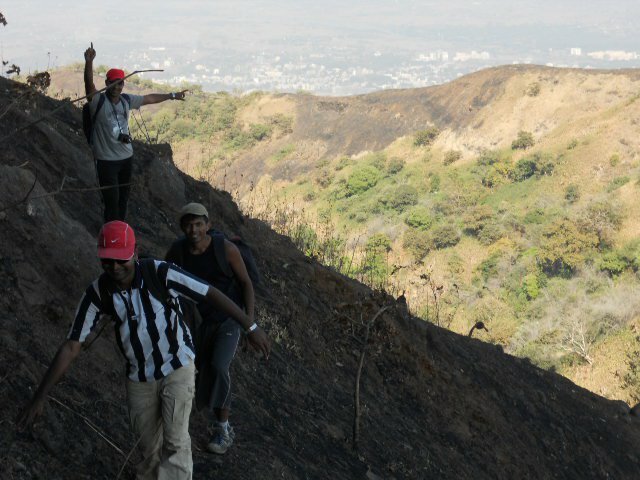 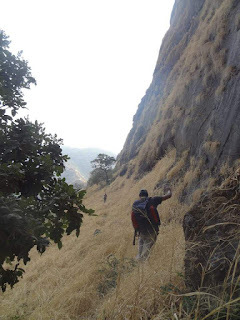 "Keep the forts clean,do not litter around,keep trekking commercial free"
Irshalgad to Prabhal machi via ridge trek..